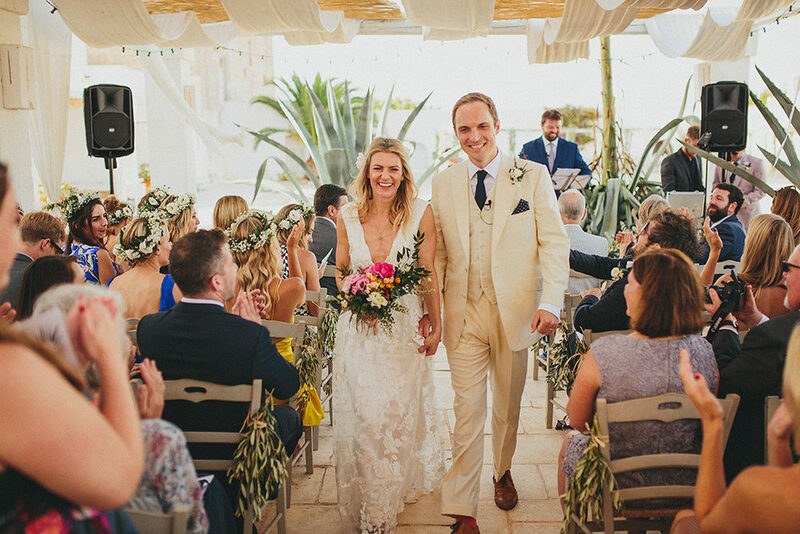 First and foremost bride Jackie’s custom ‘Clemence’ Halfpenny London bridal gown is a knockout. 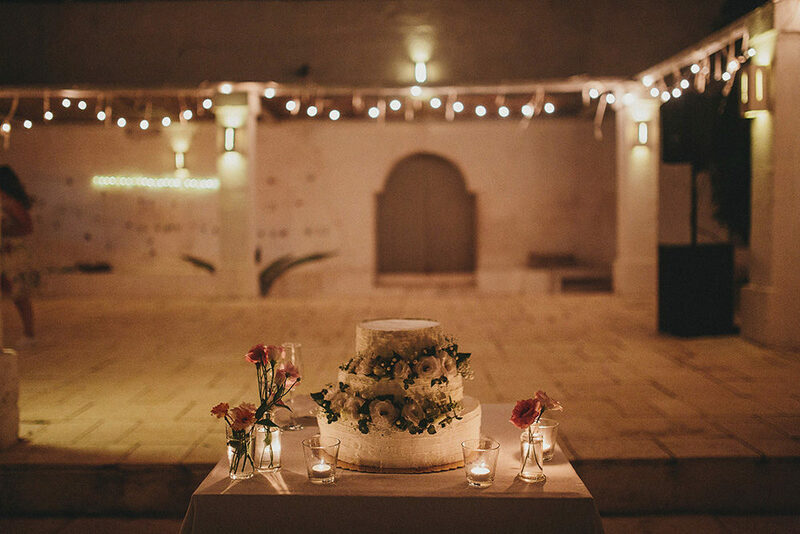 All that appliqué is just heavenly, and she looks like a goddess amongst the white Italian venue Masseria Potenti in Puglia. 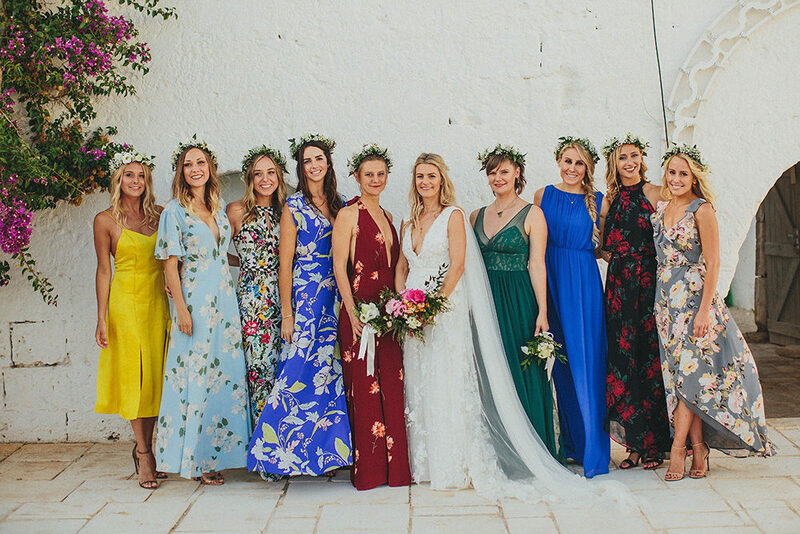 I also can’t deny how refreshing it is to see an array of colours and prints worn by her best girls. A sure fire way of including all your favourites in the line up. 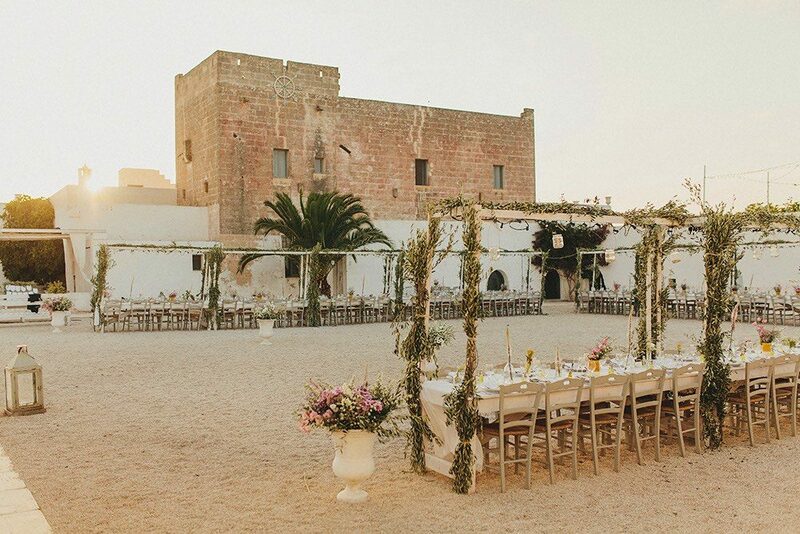 Then there’s the outdoor reception of dreams, filled with brightly coloured florals, vines and fairy lights and looking equally magical by day as it does by night. 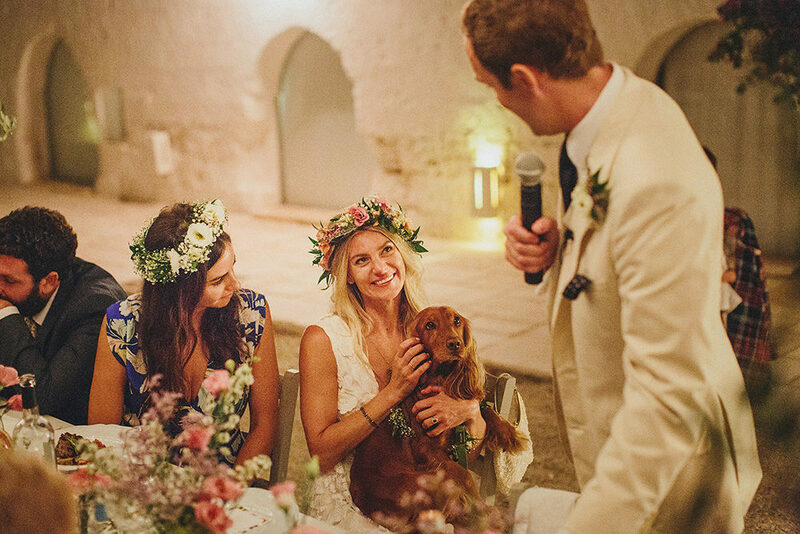 I’m so glad fate brought this couple together, as it means we get to swoon over their adorable love story, and all the dreamy captures by Petar Jurica. 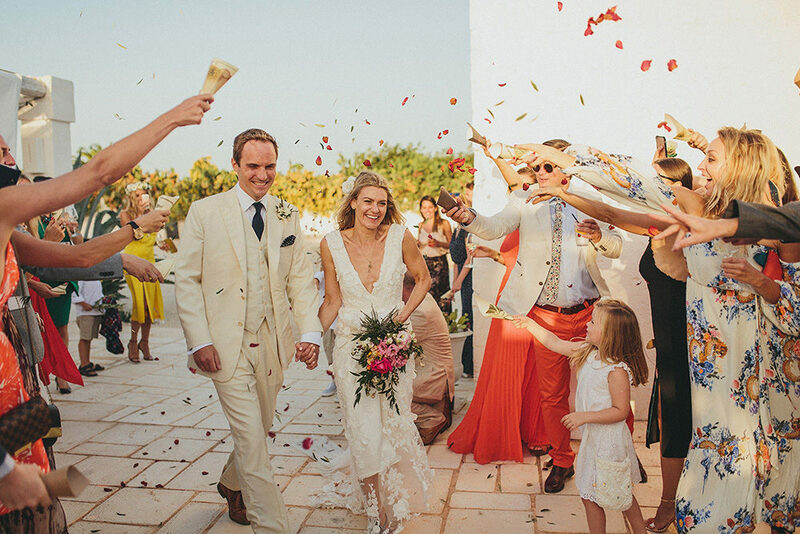 Visit our archives for more real brides and designs by Kate Halfpenny.